Ideal for friends, family or work colleagues! Looking for something exciting and special? Experience something new with your friends, family or colleagues. 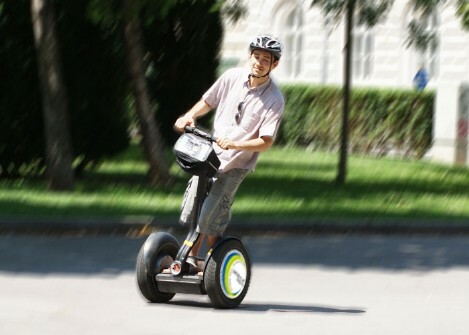 Segway offers a unique, fun, and tailored to your wishes encounter. 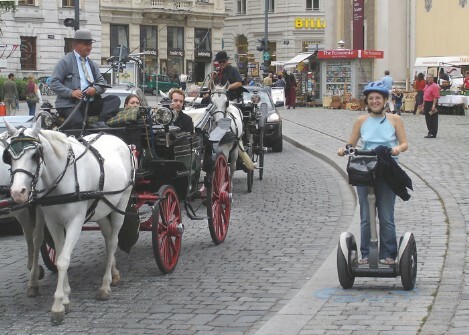 Whether you glide through the city, along the Danube Canal or through the giant Prater Park, riding a Segway is fun for all. Any tour we offer, and ones we don’t, can be organized as a “Private Tour”. "Private" because the tour is custom-made to your requirements and wishes. The perfect way for friends, families, and fellow workers to have a tour just for themselves to enjoy. Individual wishes can be fulfilled, for example, the tour can start at your hotel or end at a restaurant or be guided in a language other than we offer on our daily tours. Private tours can be organized with any number of participants with flexible starting times. The prices are based on a 3 hour tour including the guide fee but without additional service. Based on our bestselling tour, Vienna Sightseeing & more. We can do the same route for you or vary it according to your wishes. 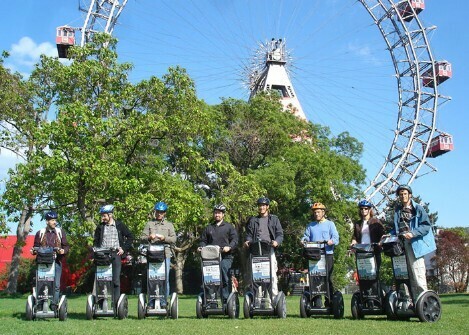 The motto for this tour is: Segway riding and less sightseeing! We glide along the Ring and leave the Inner City behind us, taking the bike path to the Danube Canal for a ride along the water to reach the giant Prater Park. Fresh air and movement – you glide along the Prater Hauptallee under the chestnut trees, through the park. Have you always wanted to try a Segway? This 2 hour ride in the afternoon or evening gives you the chance to do just that, learn to ride and to experience a Segway. The route was laid out to assure less traffic and maximum time to ride.